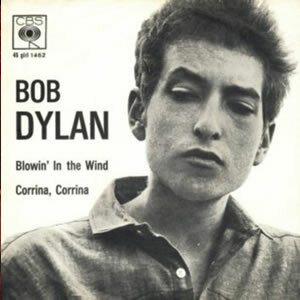 Blowin in the Wind is a song written by Bob Dylan in 1962 and released on his album The Freewheelin' Bob Dylan in 1963. Although it has been described as a protest song, it poses a series of rhetorical questions about peace, war and freedom. The refrain "The answer, my friend, is blowin' in the wind" has been described as "impenetrably ambiguous: either the answer is so obvious it is right in your face, or the answer is as intangible as the wind"